When Congress returns from recess early next month, lawmakers will face a bevy of partisan-infused battles on issues such as the Iran nuclear deal, Planned Parenthood, and government funding. But along with the bickering, there will also likely be harmony—and action—on an issue uniting both sides of the aisle and even President Obama: criminal justice reform. Soon after lawmakers return to Washington, D.C., on Sept. 8, a bipartisan group of members on the Senate Judiciary Committee is expected to announce a deal meant to relieve the overcrowded federal prison population. The bill, which is still being written and near completion—according to Beth Levine, a spokeswoman for Judiciary Committee Chairman Chuck Grassley—would give judges more discretion in sentencing offenders of certain nonviolent drug crimes and let well-behaved inmates earn time off their prison terms. “They want to announce a deal as soon as they get back, but they just aren’t quite there yet,” says Conn Carroll, the communications director for Sen. Mike Lee, a committee member and leading reform advocate. “Let’s just say it’s first and goal on the one, everyone thinks we’ll score, we just don’t know when,” Carroll continued. The legislation, the result of months of negotiations, will likely incorporate policies from previously introduced legislation in both houses of Congress. The judiciary committee’s compromise bill is not expected to include reductions to mandatory minimums that are blamed for mass incarceration. Mandatory minimums require binding prison terms of a particular length and prevent judges from using their discretion to apply punishment. But the legislation is expected to give judges some leeway in sentencing drug offenders. 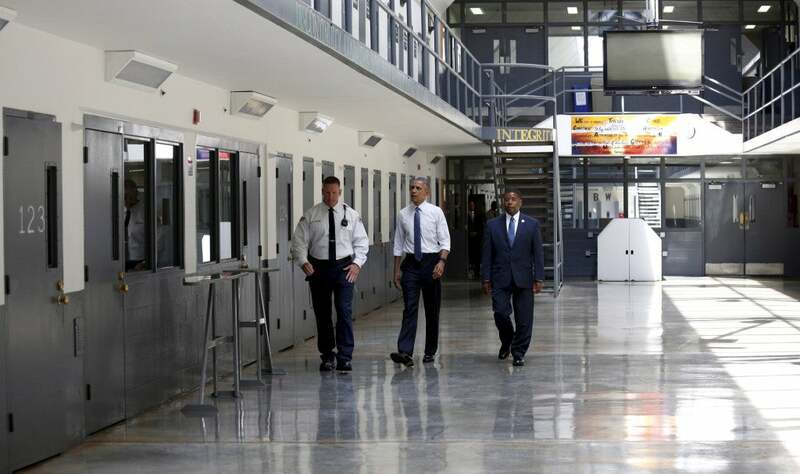 Varied groups and people like the American Civil Liberties Union and the Koch brothers, two wealthy businessmen who are activists on this matter, have come together to press Congress to take on the U.S. prison problem. The U.S. has less than five percent of the world’s population but incarcerates almost 25 percent of the world’s prisoners, according to the International Centre for Prison Studies. Proponents from both sides blame federal overreach for making it this way. “We think the criminal justice system needs reforms in a comprehensive way,” says Mark Holden, general counsel and senior vice president at Koch Industries. 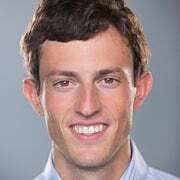 Holden is the right-hand man of conservative billionaires Charles and David Koch on the brothers’ push for criminal justice reform. A new Pew study, using data from the Federal Bureau of Prisons, reveals that there are more than 207,000 inmates in federal prisons, and 95,000 of those inmates are incarcerated for drug-related offenses—up from fewer than 5,000 in 1980. The jump in the number of inmates has cost a lot of money. From 1980 to 2013, federal prison spending increased 595 percent, from $970 million to more than $6.7 billion. According to the study, prison spending now represents one of every four dollars spent by the U.S. Justice Department. The report says growth of the prison population, and the longer drug sentences, can be pinned on a tough-on-crime mentality that dominated the 1980s. Reform advocates say these policies—such as laws passed by Congress enacting mandatory minimum sentences of five, 10, or 20 years for drug offenders, and abolishing parole for federal offenders—have outlived their usefulness and need to be revised. Grassley, as the judiciary committee chair, is the gatekeeper of the talks. Experts such as Holcomb say Grassley is opposed to across-the-board repeal of mandatory minimum sentences. Though Grassley’s office won’t share the exact details, the bill is expected to address a “safety valve” law that’s supposed to keep people from receiving unfair sentences. Under the law, a federal drug offender can avoid a mandatory minimum sentence if he passes a five-part “safety valve” test. A convicted felon can be sentenced below a mandatory minimum if he was not a drug leader or “king pin,” he did not use or possess a gun during the offense, the offense is nonviolent, he was truthful with the government, and he has little or no other criminal activity on his record. Reform advocates argue that even the most minor criminal history, such as being convicted for possessing a small amount of marijuana as a juvenile, can make an offender ineligible for the safety valve exception. The Senate Judiciary Committee bill may make the criminal record aspect of the safety valve more forgiving. It may also create a new loophole to get around mandatory minimums. 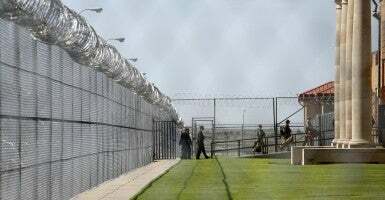 In addition, the legislation will include elements of a separate bill, the Corrections Act, authored by two senators of the judiciary committee: John Cornyn, R-Texas, and Sheldon Whitehouse, D-R.I.
That bill would allow certain well-behaved prisoners to earn time off their sentences by participating in recidivism reduction programs such as drug counseling and vocational training. The judiciary committee bill won’t be as comprehensive as the House’s SAFE Justice Act, sponsored by Reps. Jim Sensenbrenner, R-Wis., and Bobby Scott, D-Va., which would narrow the range of offenders that mandatory minimums apply to. 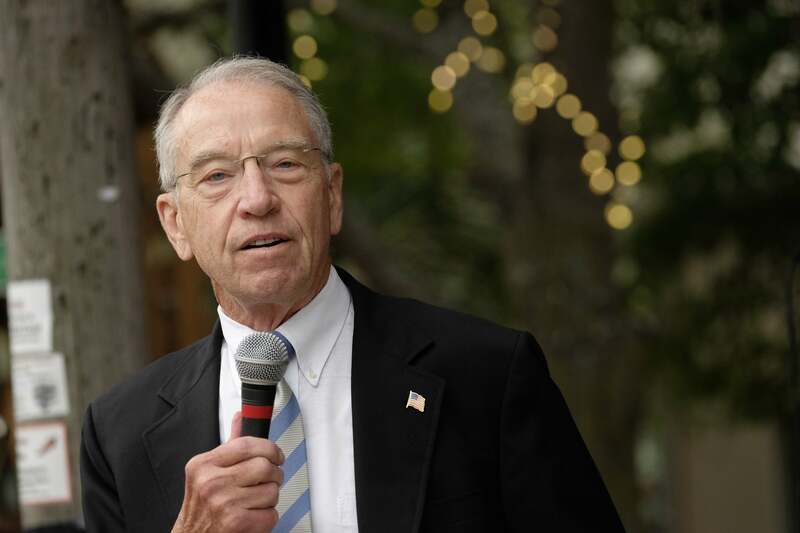 Some members, like Grassley, think that reform plan is too far-reaching. “Although there is clearly bipartisan support for a number of these proposals, [this] is a difficult issue,” says John Malcolm, the director of The Heritage Foundation’s Meese Center for Legal and Judicial Studies. Whatever the final product looks like, all sides are optimistic that Congress will give Obama a criminal justice reform bill to sign this year—because too many people are waiting.